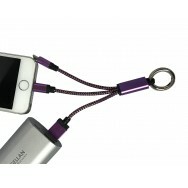 Promotional Phone Adaptors are a great giveaway item, they will be used consistently by the recipient, ensuring your brand is continually promoted after your event. With Magellan World you can choose from a wide selection of branded phone accessories with excellent printing options at the lowest possible price. 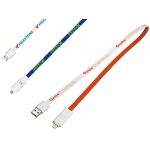 Choose from car chargers, phone charge cables, mobile phone usb adaptors, all with a multitude of printing and other branding options. 3 in 1 braided cable is 1.2m long and has a Lighting, Micro USB and USB C.
3 in 1 Army USB Adaptor in the popular Swiss army knife style and has a great branding area. 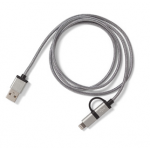 2 in 1 braided cable is small and features a handy clip to make it very portable. 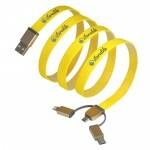 Branded 2 In 1 Braided USB Charging Cable in Gold features a USB to Lighting and Micro USB.Promotion.. 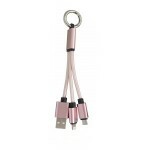 Branded 2 In 1 Braided USB Charging Cable In Pink features a USB to Lighting and Micro USB.Promotion.. Branded 3 in 1 Braided USB Charging Cable in Blue features a USB to: USB C, Lighting and micro.. 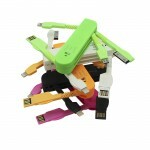 Promotional Panoflex data cable is a fast synch, charge cable with 2 in 1 adaptor suitable for And.. 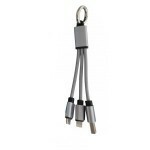 Printed 2 In 1 Braided USB Charging Cable In Dark Grey features a USB to Lighting and Micro USB.Prom.. 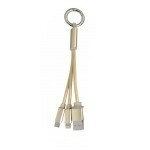 Printed 2 In 1 Braided USB Charging Cable In Rose Gold features a USB to Lighting and Micro USB.. Printed 3 in 1 Braided USB Charging Cable in Grey features a USB to: USB C, Lighting and micro USB.P.. 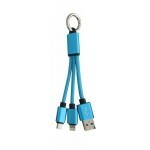 Promotional 2 In 1 Braided USB Charging Cable In Blue features a USB to Lighting and Micro USB.Promo.. 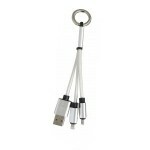 Promotional 2 In 1 Braided USB Charging Cable In Light Grey features a USB to Lighting and Micro USB.. Promotional 3 in 1 Braided USB Charging Cable in Gold features a USB to: USB C, Lighting and micro U.. 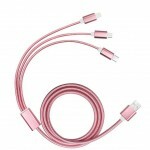 Promotional 3 in 1 Braided USB Charging Cable in Pink features a USB to: USB C, Lighting and micro U.. Promotional 3 in 1 Charging Cable features a Micro USB, USB Type-C and a Lightning adaptor.Branded 3..
3 in 1 Army USB AdaptorThere are 3 of the most popular connectors: usb, micro usb, iphone 4s 3.. 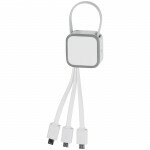 Branded 2 in 1 Braided USB Charging Cable with Clip features a USB to Lighting and Micro USB.Promoti..
Our PowerTool Multi-Cable is perfect for connecting all of your devices to any USB product, whether ..
USB multihub. A very useful giveaway. The hub contains 4 USB ports.Ideal for charging multipule devi..
Zip Travel Case Includes 2 x USB Cables for Charger And-or Syncing Apple® Devices-most Android Devic.. Designed by Toppoint USB card with flashlight. From USB to micro-USB in one card. Including flashlig.. Promotional 2-IN-1 Cable with Apple Approved Licensed Apple Lighting Plug: Made for Iphone & Ipa..
3 Piece Charger Set Including 2200mAh Powerbank with 5v, 1a USB Output, Three in One Cable with Micr..
Multicable with 4 connectors to charge all your devices. 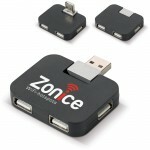 With integrated USB cabel, 2 micro-USB conn.. Promotional Big Retractable Flat USB Cable:2 Connectors - Lightning & Micro Usb. Wire Will Not G..
Travel Set Consisting of USB Charger, Which Can Easily be Plugged into the Cigarette Lighter of the ..
Multi Cable Device Charger with Mini Usb, Micro USB & Apple Device (including IPhone 4, 5 & .. PROMOTIONAL HUMAN BEAN PHONE CHARGER. Latest Version of Our Best Selling Bean Charger B Allows You to Not Only Personalise with the End Us.. Features - Nylon Wire with metallic plugs., high speed charging and fast data transfer.Cable Connect.. 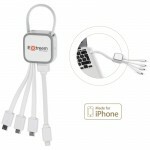 Promotional Keyring Chain USB Cable:Keyring Chain with Cable & Following Connectors: Usb, Micro ..
Adapter Set for Iphone 4 & 4s, Ipads & Device with Micro USB Connection. 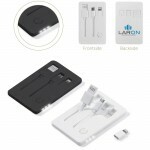 Print Advertising o..
Multicable with 3 connectors to charge all your devices.With integrated USB-cable, 2 micro-USB conne..